Applying for jobs can be difficult, we all know that. 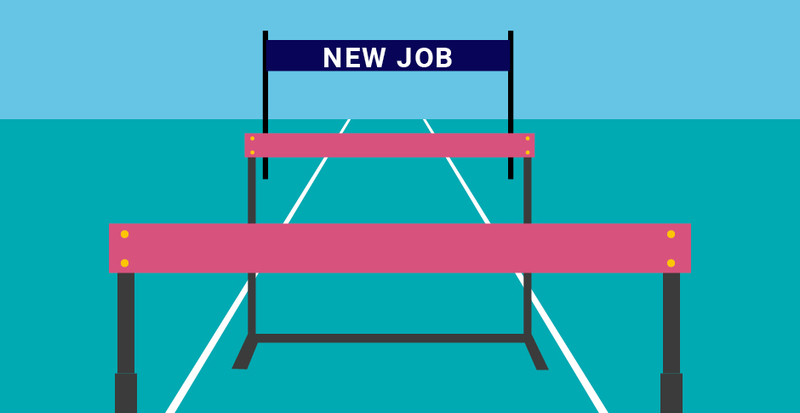 Generally, we apply for new jobs because we want to improve our situations, whether financially or emotionally, but often certain barriers get in the way. A study conducted by SEEK recently found that 2 in 3 Kiwis have wanted to apply for a job but didn’t due to three main factors: expecting the application process to be too complicated or time-intensive, not knowing the salary, and low confidence in qualifications and ability. Fortunately, these are all things that you can overcome with the right approach. We asked career coach Nicole Grainger-Marsh for her advice on how to overcome the top three barriers to applying for jobs. If you’re put off applying for a job because you think it’s going to be too tricky or time-consuming, you’re not alone. Each week approximately 52% of New Zealanders are searching for a job (whether they’re actively applying or monitoring the job market), but only 4 in 10 believe that searching for a job is easy. From there, you need to tailor your resume and cover letter to each job, but it should be as simple as a few small tweaks. “If you have a couple of different types of roles that you’re interested in, then have a different resume and cover letter for each role,” Grainger-Marsh says. This is where SEEK Profile comes in handy, as you can store your cover letter and up to 10 different resumes, which makes it faster and easier to apply for a range of roles. Don’t be discouraged if you can’t immediately see exactly what salary a job is offering. Employers who advertise their roles on SEEK have to include what they’re willing to pay for the role, even if they choose to not display the salary in their job ad. You can get a sense of what a role pays by using the filters on the SEEK homepage to filter down to a pay bracket. This will show you what amounts it was advertised between. When searching, you can set the filters to only show jobs that are in line with your salary expectations, so you won’t feel like you’re wasting your time looking at roles that fall outside of that range, Grainger-Marsh says. Don’t think you’re alone in lacking confidence in your job search. According to SEEK’s research, only 43% of candidates are confident when applying for a job, and this decreases more in older generations. But remember, nobody’s perfect! If you don’t meet every single criteria on the job ad, don’t immediately write yourself off. “The reality is that no employer expects to get a 100% hit-rate with applicants,” says Grainger-Marsh. “Think of their job ad as their wish list – this is where they list everything they would love this person to have, with the hope of finding someone that meets around 80% of it. So if you feel that you match 80% of the job description, chances are you would be considered a good fit.” Don’t hold yourself back! Transferable skills are powerful things, and we all have them – it’s just a matter of identifying which ones you have! With the right frame of mind, you can apply for any job. But it’s up to you to take the leap and overcome those barriers.